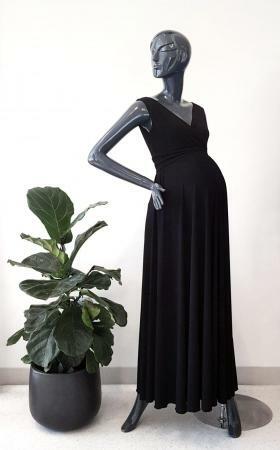 Pregnancy and breastfeeding friendly, this dress will take you through your whole pregnancy and beyond, perfect for those occasions that require a dress up outfit. We love the stretchy fabric, is super comfortable! Wear it with or without the ribbon or style it with a different belt.